French fries are one of the most recognizable foods on the planet. 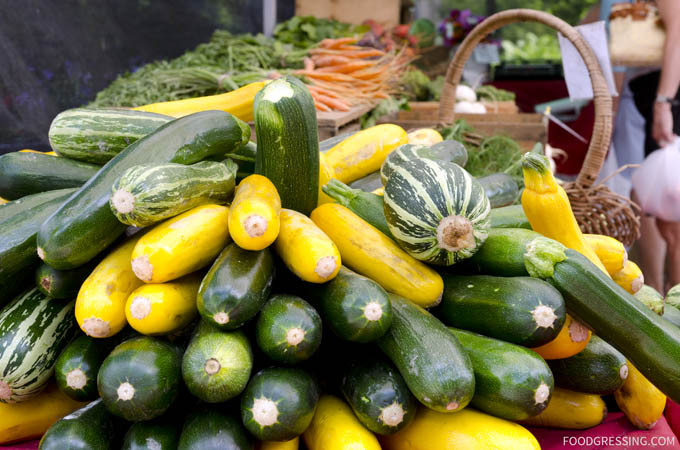 Whether you fry them, bake them or pack on a heap of toppings, they are a type of food that is universally enjoyed. While we know them as mouthwatering, crispy sticks of golden fried potato, there are many different ways in which French fries are eaten around the world. Despite its name, French fries did not come from France. The origins of the French fry have been traced back to Belgium, where historians claim potatoes were being fried in the late-1600s. How it became so popular in America dates back to World War I. American soldiers stationed in Belgium were first introduced to French fries at that time. As the official language of the Belgian army was French, soldiers nicknamed the delicious fried potatoes “French fries.” The name stuck, and we’re still giving credit to the wrong country. To this day, their name does not give credit to the country in which they were invented. Nevertheless, French fries are one of the most popular side dishes (or main dishes for some) in the world. Do people just enjoy ketchup with fries? What are some of the more exotic toppings? 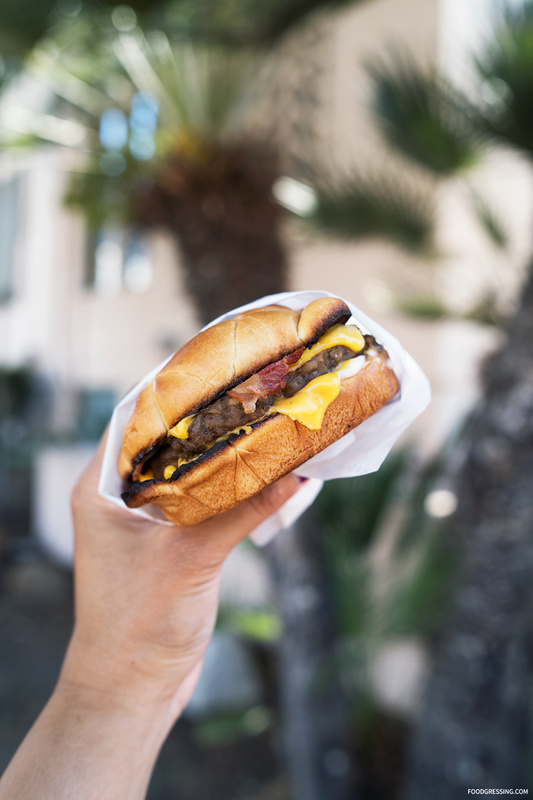 From Canada to Japan, read on to find how fries are eaten in different parts of the world. And maybe you’ll find new ways to enjoy them yourself! Note: I received permission by Neomam Studios to share this infographic. 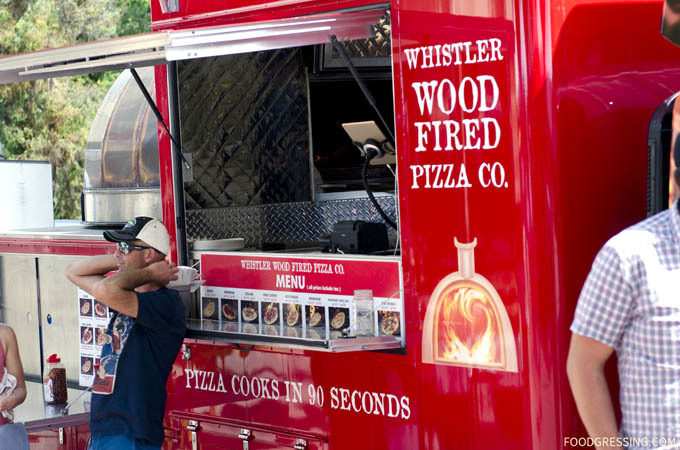 Whistler Wood Fired Pizza Company is a food truck that I have regularly seen at festivals around Vancouver. They specialize in thin-crust Neapolitan style pizza made with non-GMO flour imported directly from Italy and toppings sourced locally wherever possible. 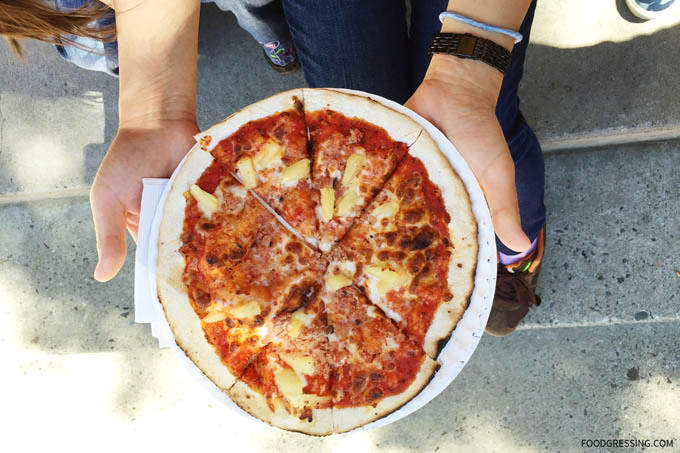 Furthermore, they have a unique state-of-the-art food truck that has a 360-degree rotating wood-fired copper oven that can bake a full pizza in less than 90 seconds. The appeal of the rotating oven is that it allow customers to see the baking process. 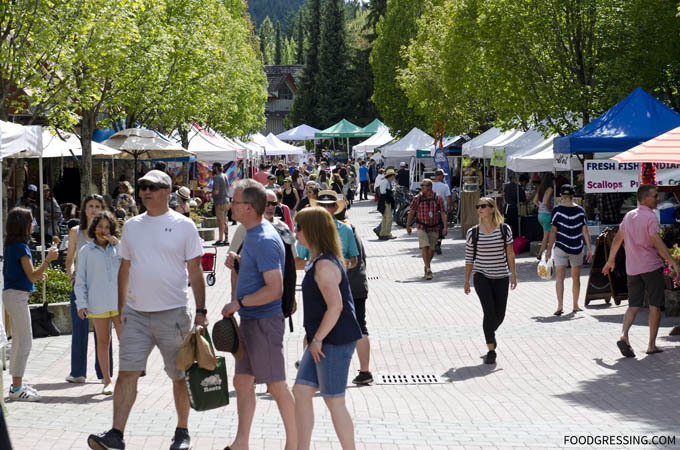 It wasn’t until me, my friend, her daughter and my son were visiting the Whistler Farmer’s Market a few Sundays ago that I finally got around to trying their pizza. The two kids pointed at the food truck and expressed their desire for some pizza. So, we decided to get a pizza to share. On the menu are 9 pizza flavours including standards like cheese, pepperoni and Hawaiian. More bold varieties are “The Works” and Rosemary Rock Salt. The pizzas come as large or small. 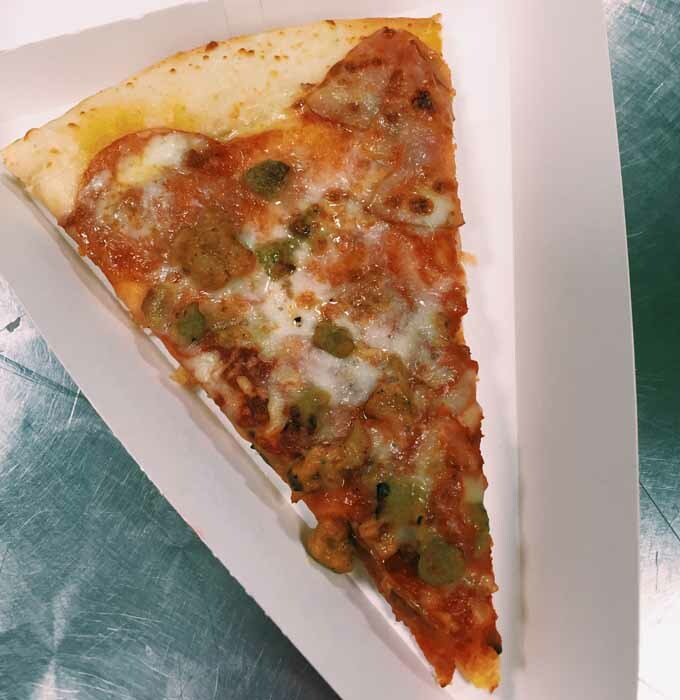 A large pizza is 16″ and cuts into 8 slices that feeds 3-4 people. A small personal one is 8″ and cuts into 4 small slices that feeds 1 or snack for 2. 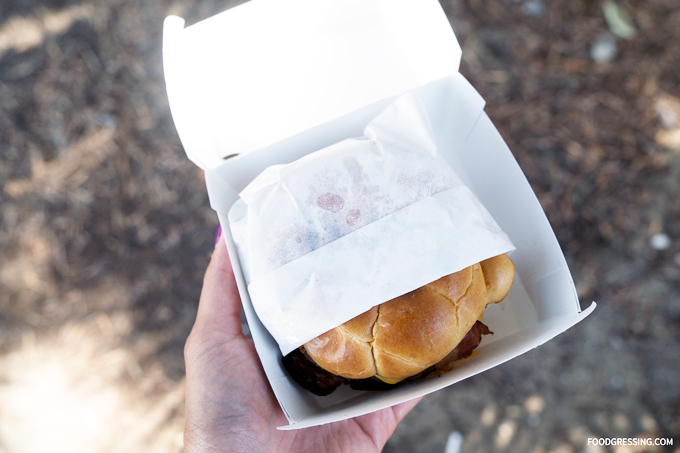 The menu is available online. We ordered the kid-friendly which had mozzarella, black forest ham, and pineapple. 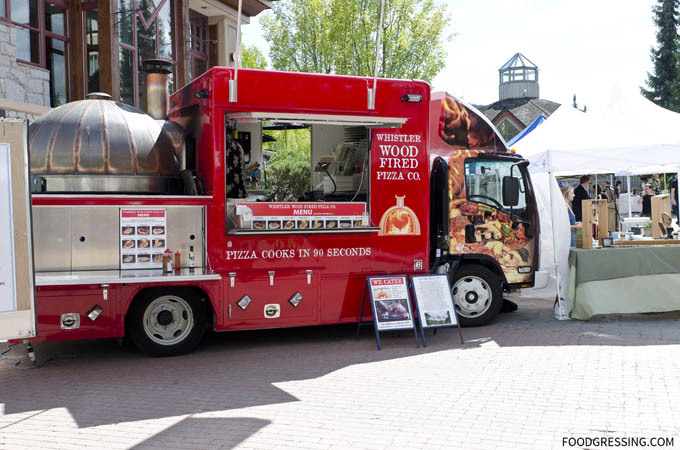 I know that food truck food is generally priced higher but I was kind of surprised by the prices at Whistler Wood Fired Pizza. The small size pizza was 8″ and cost $13 already. A 16″ one would be $32. In terms of taste, I thought that the pizza could have used more toppings. The topping-to-crust ratio wasn’t as optimal as I would like. The crust was thin but not really all that crispy. The kids were fine with the pizza but I personally wasn’t all that excited. 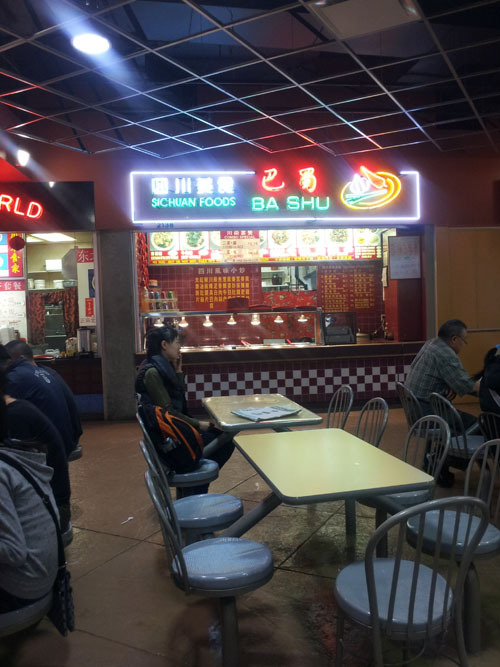 Located inside the Crystal Mall food court, Ba Shu Sichuan Foods serves cheap and cheerful Sichuan-style fast food. 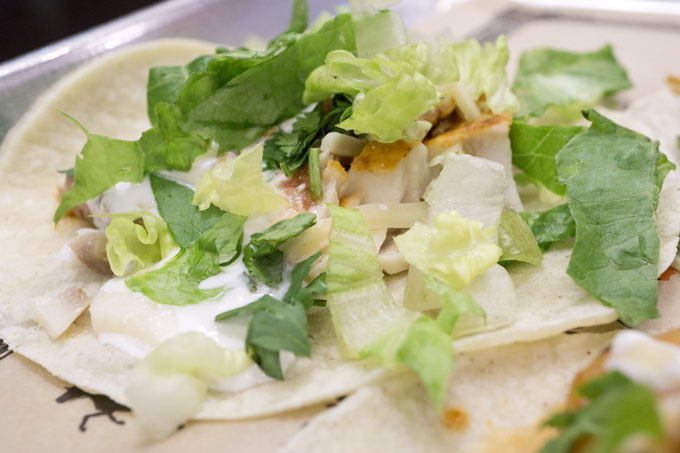 They offer two or three precooked items plus rice boxes as well as made-to-order dishes. I first visited them in 2012 when I had a two item plus rice dish. 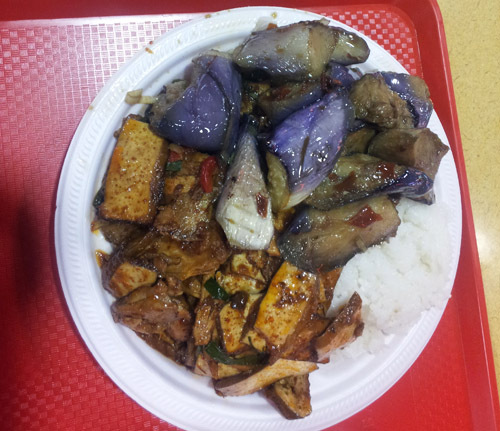 At that time, I had eggplant and firm tofu as the two entrees. 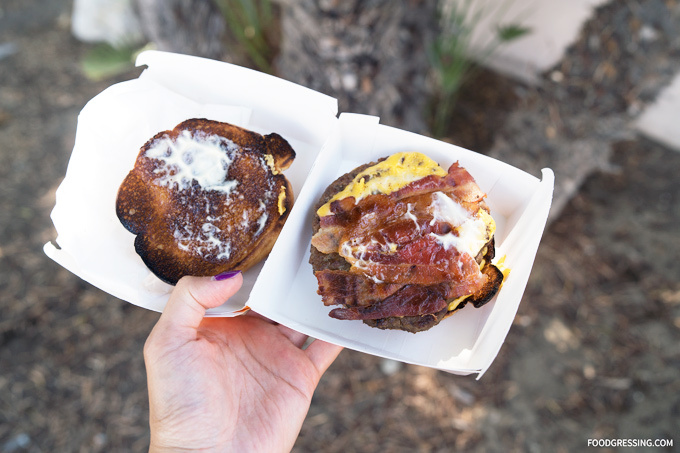 Kinda salty and kinda greasy, it was pretty much as good as it given the price. In terms of spice level, it was pretty spicy though nothing close to the authentic Sichaun cuisine spiciness level. Fast forward to 2016 and Ba Shu Sichuan is still in business (which is great for a fast food stall!). I recently revisited them for an early dinner prior to doing some shopping at the public market. The regular price for two precooked items plus rice is $7.00 and $8.00 for three items. The dinner special is a good deal which is three items for $7.00. I guess they prepare the pre-cooked items for lunch and need to get rid of them by the end of the day. Hence, the dinner has a special deal. The three items that I had were eggplant, cumin lamb with firm tofu and celery, and soft tofu. The entrees were still greasy and salty. However, they were noticeably less spicy from what I had before. The eggplant was still decent and the cumin lamb had good flavour. The soft tofu was the biggest disappointment because it was rather bland. 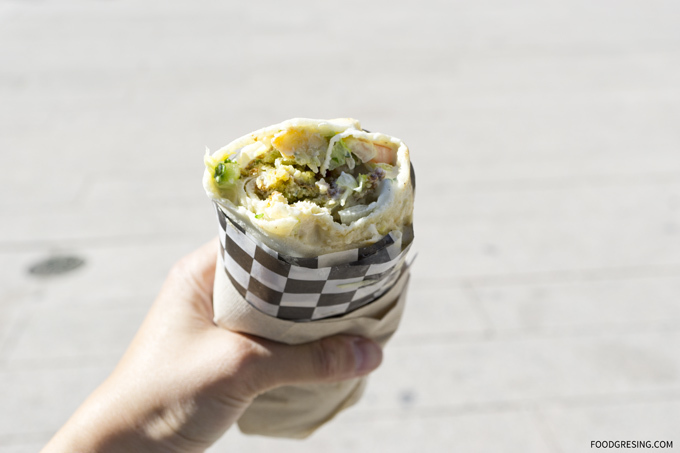 Mr. Shawarma is a Vancouver food truck that has been around for several years. For the food service industry, that is a quite a long time! After regularly seeing people come away from their food truck with delicious looking wraps in their hands, I finally decided to give them a try. 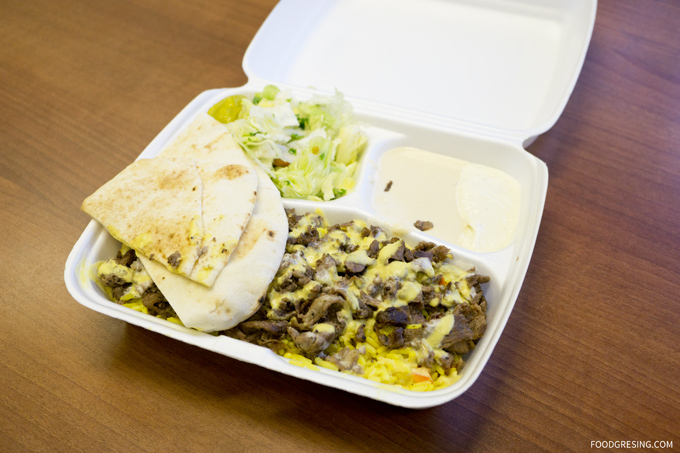 Mr Shawarma serves Middle Eastern food from their food truck. 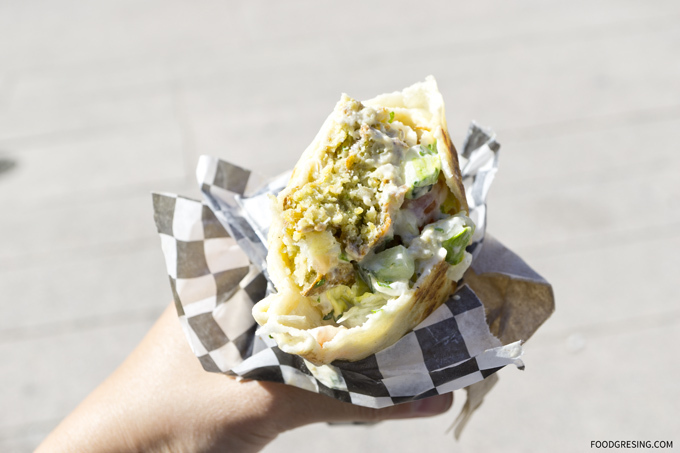 Their main items are pita wraps, large platters, spicy boxes on the go, fresh fried falafels and even poutine. You can choose either falafel, chicken, beef and lamb for your protein. All of their items are under $10 including tax. Cheap and cheerful! 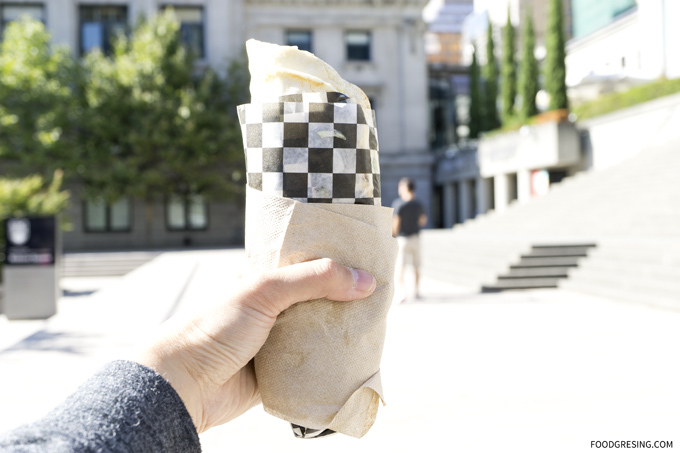 Mr Shawarma does not seem to be listed with the Street Food app but their main location is conveniently next to the Burrard Skytrain station. 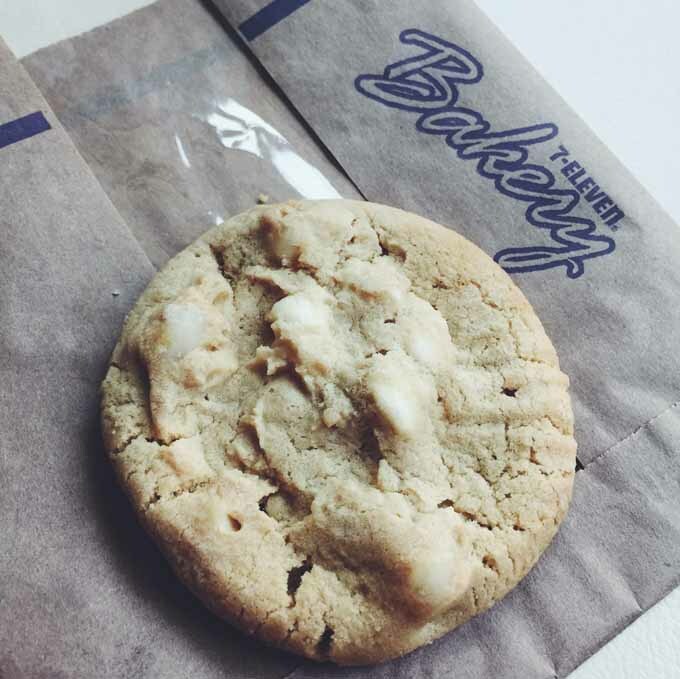 I have visited them at their other location in front of the Vancouver Art Gallery at Robson and Hornby. 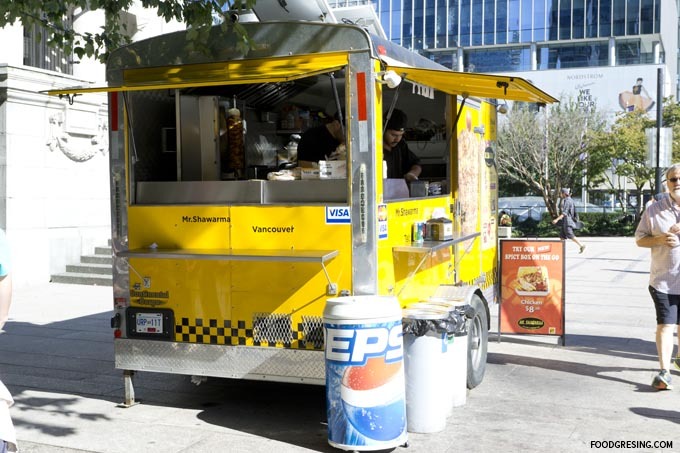 Their Burrard food truck also stays open a lot later than most of the food trucks out there. According to their Facebook page, they are open till 10 pm Monday – Thursday and 12 am on Friday and Saturday. On my first visit, I ordered a falafel pita wrap ($6). It also had garlic sauce, cucumbers, lettuce, tomatoes, parsley, hummus, tahini sauce and potatoes. For the falafels, I thought the spices and flavours were well-balanced with a nice crunchy on the outside and fluffy on the inside. I liked the garlic sauce added a great flavour but was not overwhelmingly. Recently, I tried a lamb platter ($9.50). It came with a seasoned rice with carrots, peas, garlic sauce, Tahini sauce. There was also a house salad with cucumbers, parsley, tomatoes, lettuce and a slice of pita. The seasoned rice was actually really good and the lamb pieces were pretty tender. The pita was not too hard which was nice. 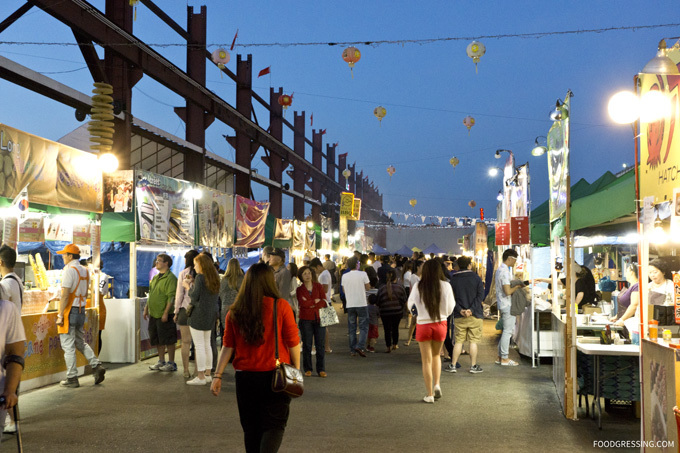 If you haven’t been to the International Summer Night Market yet, you might want to visit this long weekend. 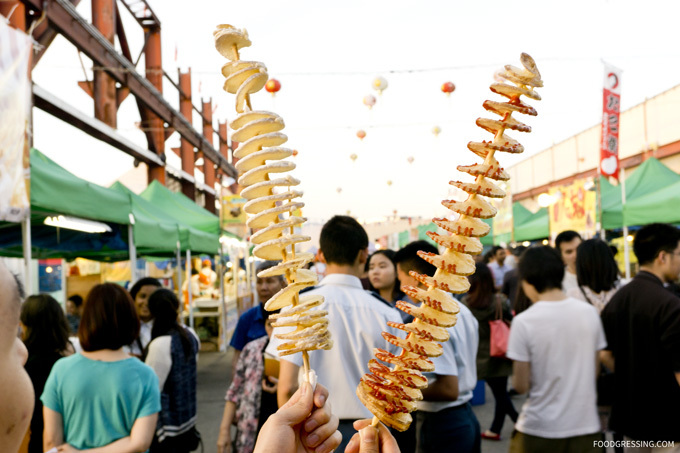 Named as one of the top four night markets in the world by Travel & Leisure Magazine, the International Summer Market has fun for all ages including merchandise booths, food and beverage vendors, a Kids Zone, and live entertainment. 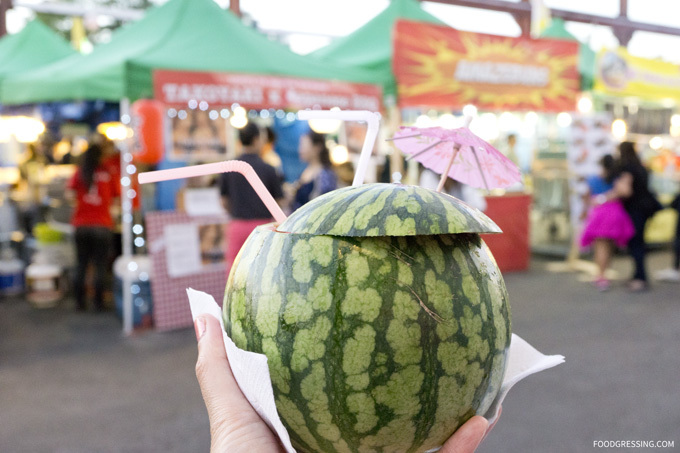 Wi-Fi is free so you can share all your adventures at the night market on social media instantly. As one of the first food stalls that introduced hurricane fries to Metro Vancouver, J&J The Original Potato Fries has expanded its menu. Patrons can now choose a wide selection of spices and sauces to go with their order of crispy potato, zucchini, or yam fries. 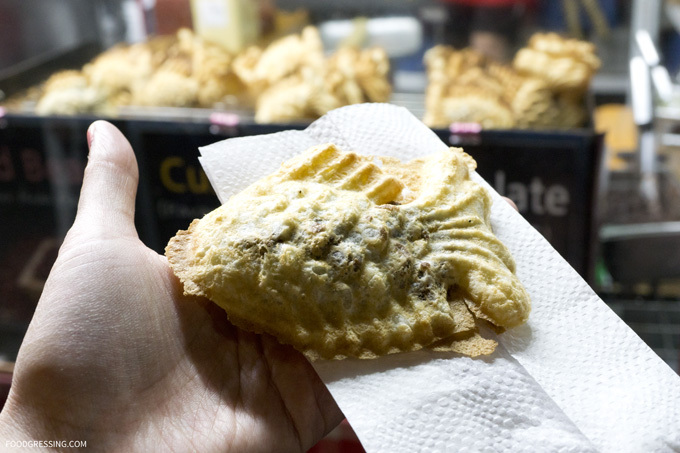 Local foodies can experience one of Turkey’s top ten street foods without travelling aboard. 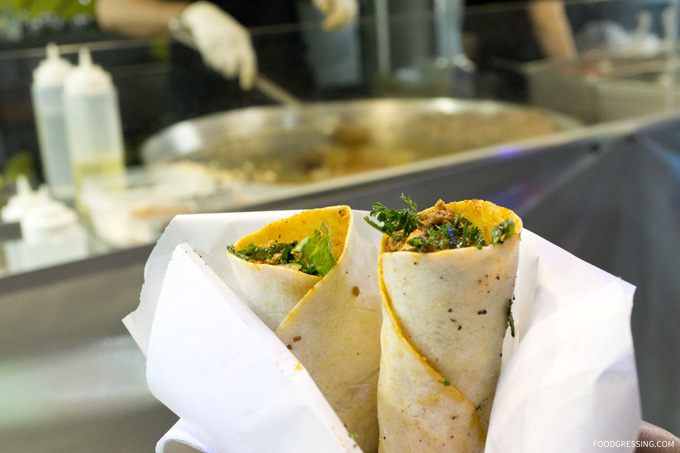 At Tantuni Authentic Turkish Cuisine, patrons can order a classic tantuni with stir-fried beef, pepper, and tomato wrapped in a thin tortilla and topped with aromatic dry spices. 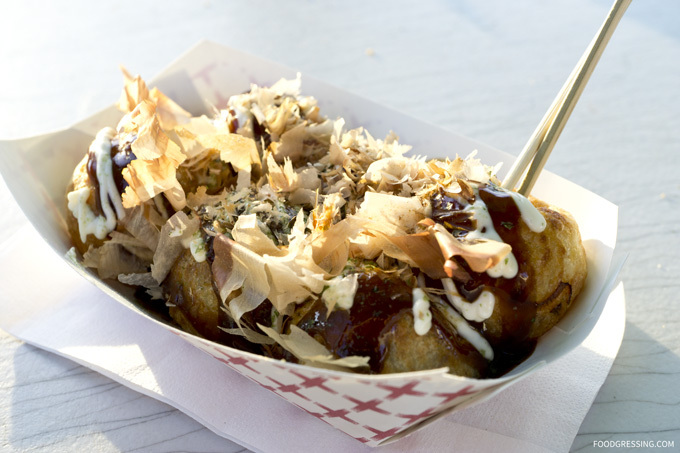 A little bit sweet and savoury, these ball-shaped Japanese snack filled with minced octopus and tempura scraps will blow your mind. 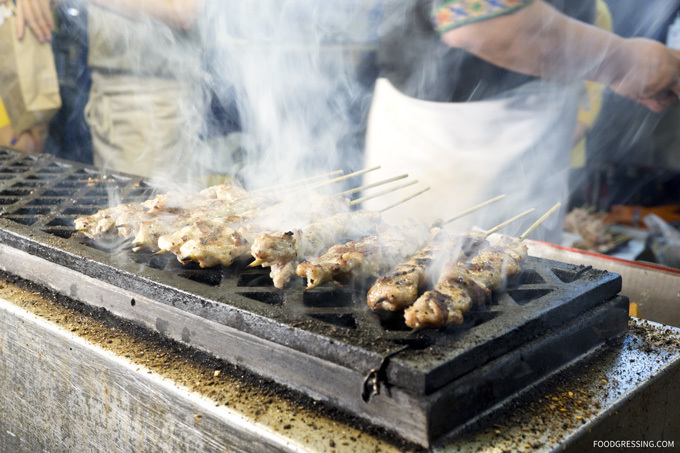 The enticing barbecue smell coming from Xinjing A fan Ti Halal BBQ can make your mouth water instantly. Marinated in a special mixture of cumin, Sichuan pepper and various spices, the lamb skewers are juicy, tender and flavourful. For patrons who are looking for an alternative to lamb, barbecue chicken skewers and chicken wings are also available. 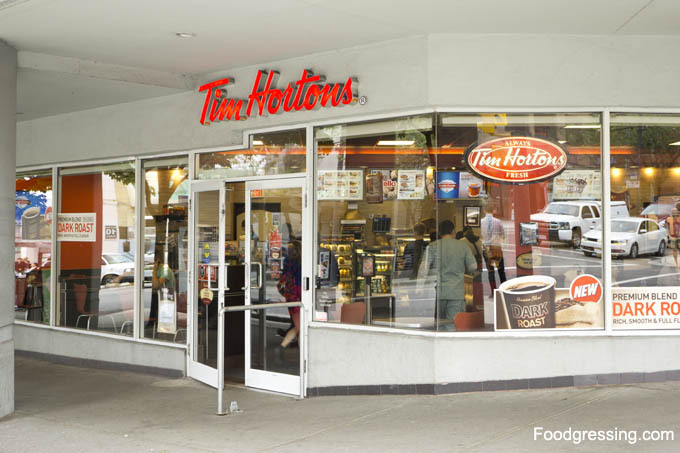 Tim Hortons rolled out Nutella baked goods last month at their Canadian locations. 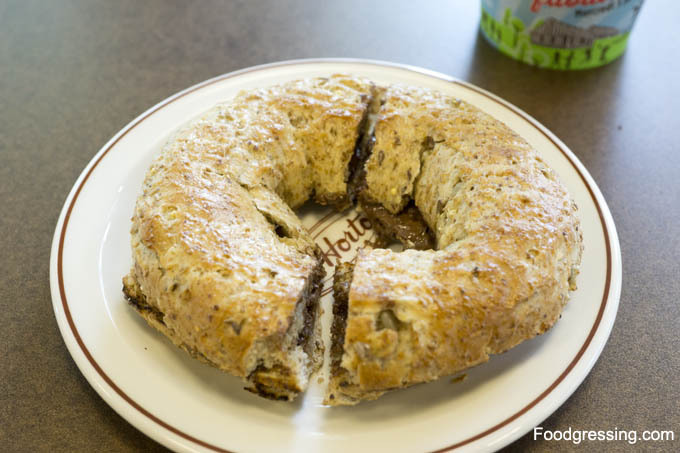 The coffee chain introduced the chocolate hazelnut donut filled with Nutella and the pastry pocket filled with Nutella and is offering Nutella as a spread option for bagels. 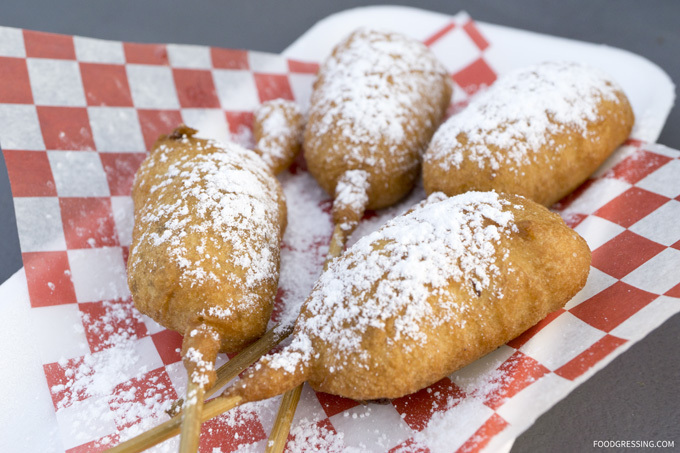 These new menu items are only here for a limited time until June 9 in Canada. I was curious about these new Tim Hortons Nutella offerings and decided to conduct my own taste test over a few visits at my nearby location on Davie and Howe in Vancouver. The first Nutella item I tried was the chocolate hazelnut donut filled with Nutella. The donut had a layer of chocolate with hazelnut sprinkled on top and a dollop of Nutella in the middle of. I really enjoyed the softness and chewiness of the donut along with the crunchy texture from the hazlenuts. I also enjoyed the presentation of the donut which was pretty cute. The cost for one of these donuts was around $1.50. My overall reaction was two thumbs up! 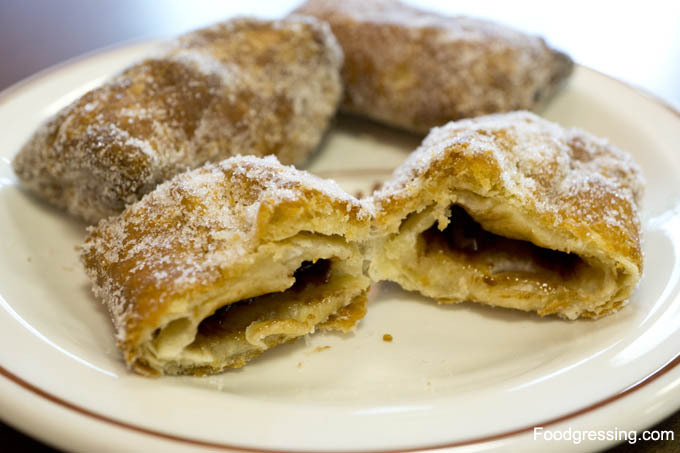 On a different day, I tried the pastry pockets filled with Nutella. I was disappointed for a few reasons. First, I was expecting Nutella to be bursting into my mouth once I bit into the pastry pocket, but that did not happen. The amount of Nutella filling was meager. The pastry pocket was flaky but I did not enjoy the amount of sugar coated on the outside. The sugar coating made it feel too much like a cheap dessert. 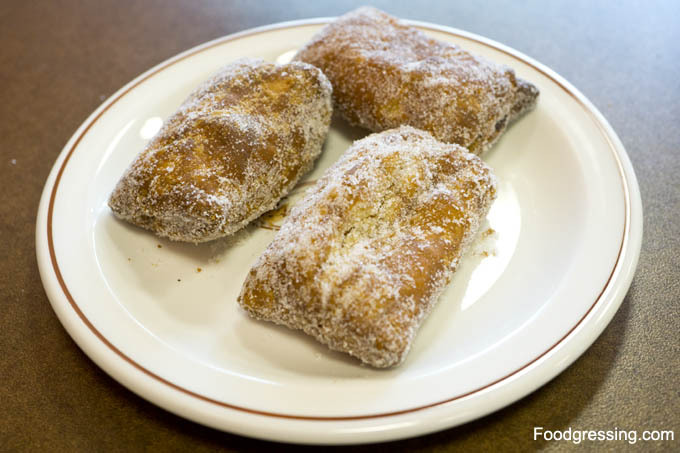 The cost for three pastry pockets was $2.99 (or about $1 each). On my last visit, I ordered a 12 grain bagel with a Nutella spread. I was asked how many passes of Nutella I wanted to which I responded one. The cost of one layer was $0.90. I watched the Tim Hortons staff person open up a single-serve Nutella package and spread it on the bagel. I thought that they would just use the traditional jar of Nutella, but they did not. It seems very non-environmentally friendly to use single-serve packages when Nutella does come in a jar. The delicious hazelnut spread that is Nutella is undoubtedly a wonderful indulgence. But did you know that one tablespoon of Nutella contains approximately one tablespoon of sugar? Best to enjoy it in moderation methinks. Out of the three Tim Hortons Nutella menu options, I only enjoyed the chocolate hazelnut donut filled with Nutella. The pastry pocked had too much sugar, and I was not impressed with the use of single-serve Nutella packages for the spread on the bagel. After a late meeting in Downtown Vancouver, I wanted something quick and cozy to eat before I headed home. I decided to pop by Mucho Burrito at Davie and Burrard for some fast food. I ordered the taco trio ($9.25) and chose shrimp, tilapia and carnitas. Unfortunately, the tacos turned out to be quite disappointing because the meats were just barely warm to me! 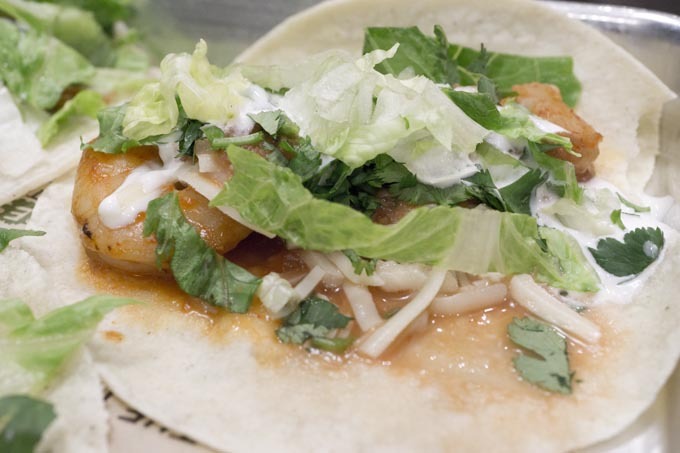 I love shrimp in a taco but barely warm shrimp is not exactly very appetizing. 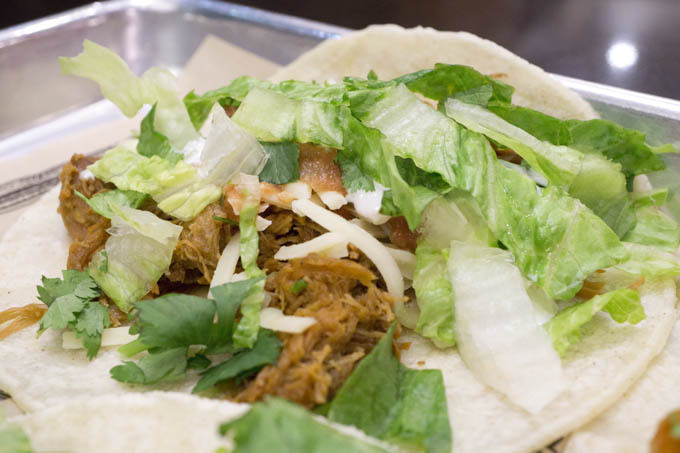 The carnitas was slightly warmer, but definitely not *hot*. The tilapia was bland and was the least warm of the three meats. It was already cold outside and the last thing I wanted was to eat something *cold. * Perhaps the meat was sitting out too long and they did not rewarm it enough. 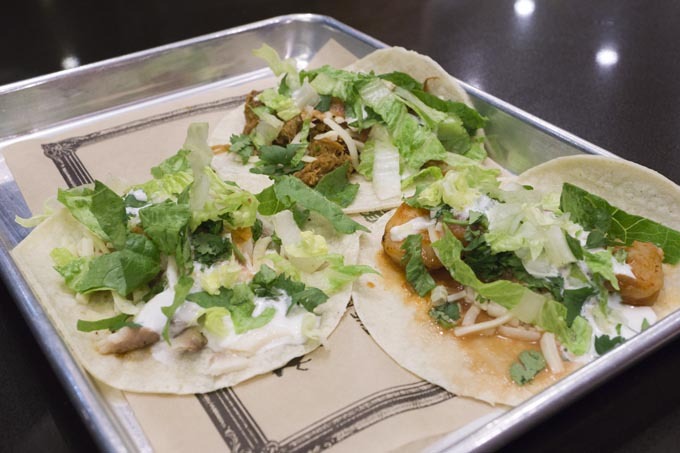 The presentation of the tacos could be improved as well as they just seemed like a mess. Overall, I am unlikely to return to Mucho Burrito for any food. I have been a user of the Belly app for a while, which offers rewards points after you visit a participating business. They also offer perks like free food. 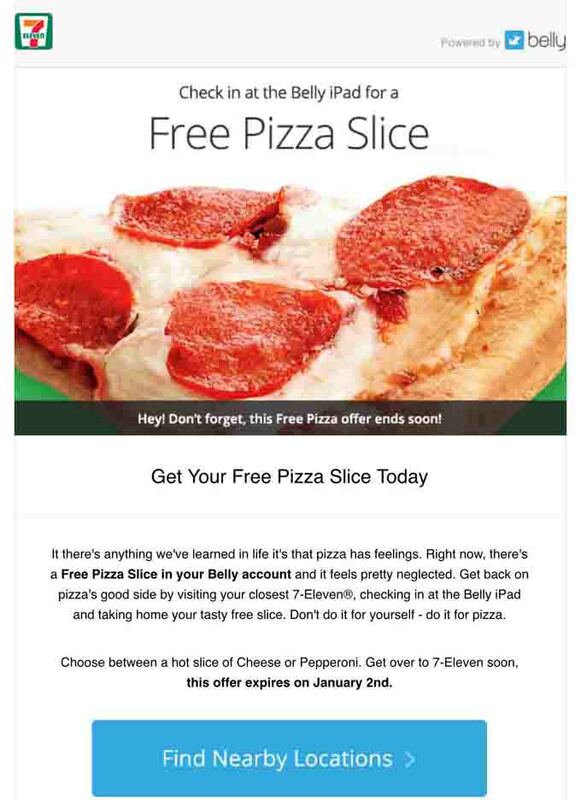 One day I received an e-mail regarding a free pizza slice from 7-Eleven after you check in at the Belly iPad. I had never tried any 7-Eleven food other than a slurpee so I decided to try it out. I checked myself in at the Belly iPad and redeemed a pepperoni slice. The pizza warmer was just at the cashier so the cashier handed me a slice in a box easily. I was a bit surprised as the pizza was pretty good for a convenience store hot food offering. 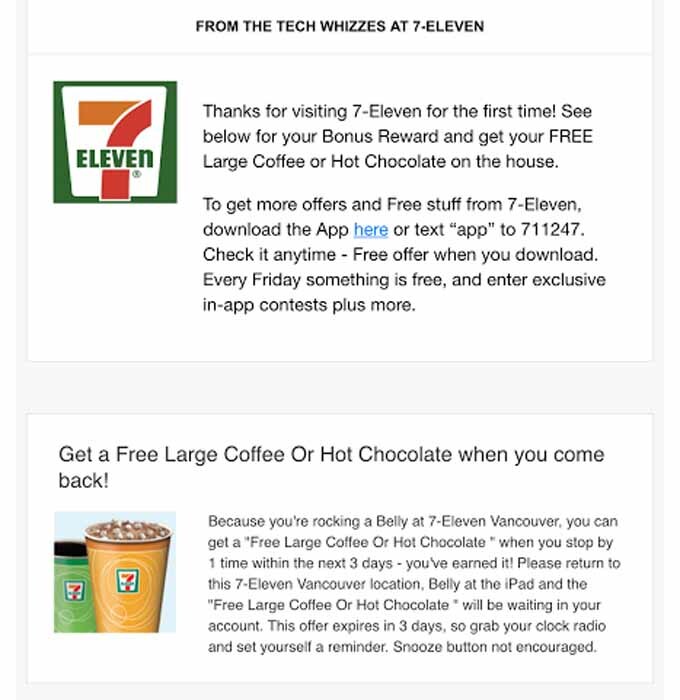 After I got home, I got another e-mail from 7-Eleven asking me to come in again for a free large coffee or hot chocolate. They also noted that they had their own 7-Eleven app, where they have in-app contests and coupons. They also give away something *free* on Fridays! 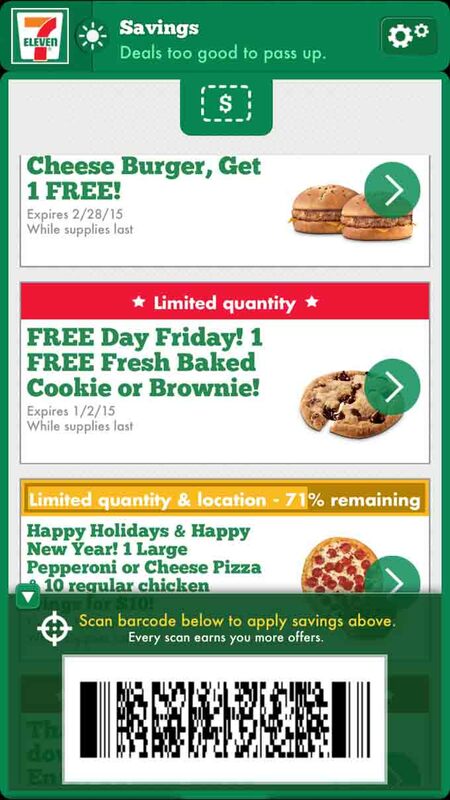 The following Friday, I checked the app and I saw an offer for either a free fresh backed cookie or brownie! There were no issues in redeeming the offer: I just had to scan my phone at the cashier with the barcode presented. The cookie tasted good. At the same time, I got my free large coffee which tasted good as well. There you have it, my adventure in trying 7-Eleven food for other than a slurpee the first time. I admit that I was a bit skeptical about the taste of convenience store hot food and baked products, but they turned out good. 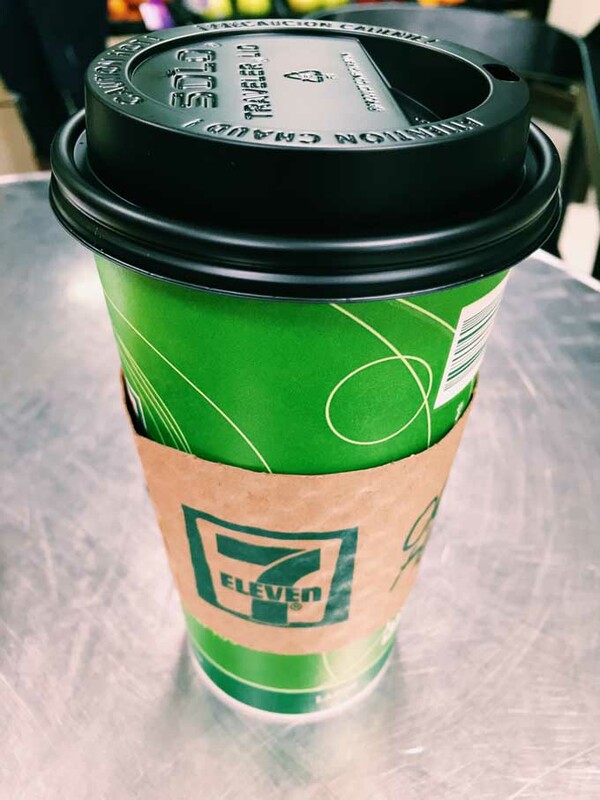 The 7-Eleven app is easy to use and the best part is that you get free perks!